Sunday Stills, the Next Challenge:Shorelines | Oh Danny Boy! Sunday Stills is a place to hone your photography skills. Each Week Ed issues a new “Challenge” that gives us the opportunity to pick up what ever kind of camera we own and try to meet it. This weeks challenge is “Shorelines”. 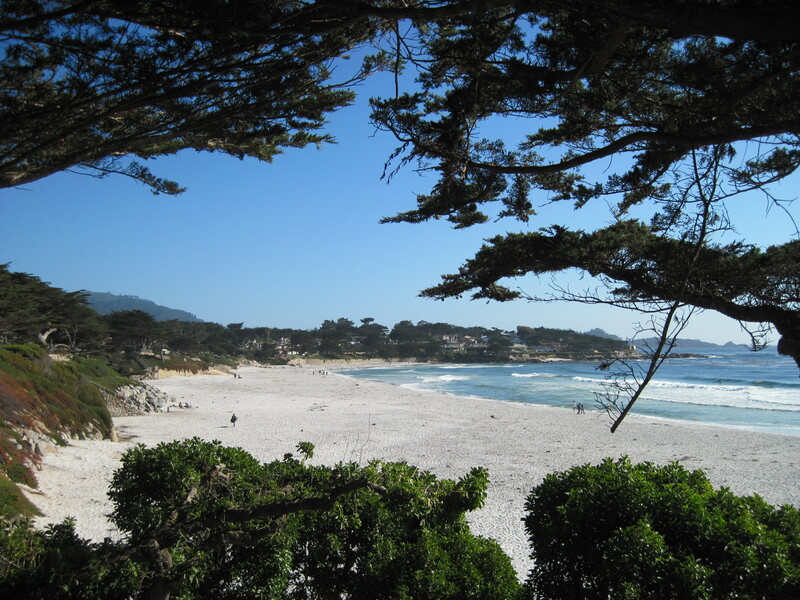 The following photo was taken in Monterey California on our way to Maui a few years ago. This entry was posted in Challenges, Sunday Stills and tagged California Photos, Photography by Danny James. Bookmark the permalink. The photograph is beautiful.The sand,trees and sea,what a great combination. Thanks for the comment. It is a lovely place. One of my favorite areas to visit. Nice picture. It indeed is nice. Thanks for stopping by. Great shot from a lovely area. Thanks! Stop on by again. Thanks. Stop on by again anytime! Thanks for the comment. It means a lot. It was hard to leave. Wish I could afford to live there.